Some writers, especially Christian ones, sit down to write and think it is their duty to create ‘nice’ characters for us. Because it’s nice to be nice and if you are nice, people will like you, right? But ‘nice’ isn’t good enough, in fiction or in real life. People go to fiction for stories that are more intense than our everyday lives. In our life we can divide the people we know into ‘nice’ and ‘not-so-nice’ categories, because we usually don’t know people who literally volunteer to die for someone. Or, at the other extreme, we don’t usually know serial killers or Hitlers. In life, ‘nice’ and ‘not-so-nice’ people are okay. But in fiction, they are bland. That’s why we don’t just plunk down real people into novels. They have to be better or worse than everyday real people. Katness Everdeen (Hunger Games) didn’t just help her little sister with homework, she volunteered to take her sister’s place in a fight to the death. Lord Voldemort didn’t just leave his waitress a 5 cent tip, he went around KILLING people. A daily writing practice is essential to becoming any kind of successful or productive writer. And part of that can be finding a writing ritual that makes you ready to start your writing work. Some people who don’t much know about the writing life seem to think you can just wait around for inspiration. But you have to have ways to seek inspiration out and drag it home by the hair if you want a daily writing practice, not just a once-in-a-great-while habit. Clearing the area is a part of my writing ritual. I don’t have children or other family members to worry about, but I do have a lot of cats. Some of whom are willing to jump in my lap or on the keyboard just when I really get going. So, I start the writing day by catching the in-the-house cats and putting them on the back porch. I recently streamlined this ritual by serving up some canned cat food on the porch, which made most of the cats who need to be removed from the writing area remove themselves. Some writers, I understand, don’t need a distraction-free environment to write. In fact, some need the distractions. Which is why some people write in a coffee shop or a public library. If that is you and you have such a place handy, make plans to write there at least some of the time. Music is essential to some writers, whether from a CD or radio station. I’ve heard that author Stephen King actually bought a local radio station to keep it playing his writing music. Music helps if it is functioning as a kind of white noise cancelling out the distractions. If the music itself is a distraction, best not to make music a part of the ritual. Models. When I write my poetry I use models. If I am writing a sijo poem, I first copy out a sijo from one of my poetry books. I then use it as an inspiration when I write one of my own. Or else I ignore the model entirely. 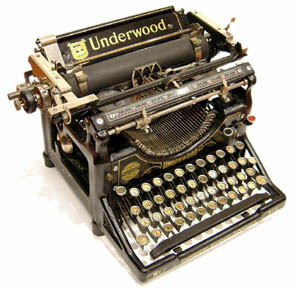 When prose writing, writing out a whole novel would be a bit intimidating. But I have once copied out bits of a novel I liked before beginning with my own work. Keywords. I have been writing poetry using keywords since long before I ever knew that some poetry writing teachers recommended it. I glean keywords from a variety of sources, books, encyclopedia articles, prayerbooks, television commercials…. Or dull political speeches. The important thing about your writing ritual is that it has to be a ritual that works for YOU, not some imaginary ideal writer that is NOT-YOU. The other thing is to stick with a possible ritual for a while. Doing certain things every time you sit down to write is a way to train your brain to be ready for writing when you do these things. That makes writing a repeatable action you can do every day until your writing is finished. The secret of writing is to keep working on one writing project until you get done, and then start another. If only my writing life worked that way. It’s really hard to stick with one writing idea. And it seems like I get more indecisive as time goes on. When I was younger I could stick with a project for weeks. Lately I’ve been able to start new writing projects every day, abandoning the old ones as hopeless. I probably have got to stop doing that. I think my indecision is based on three things: first, my brain keeps coming up with shiny new ideas which of course are more attractive than the older ones. Second, the older and, possibly, more mature I get, the more possibilities I see. When I was younger I could see only one way a story could go. Now, each story-beginning could lead in infinite directions. I hate that. Third, the longer I go without finishing a novel, the more of a failure I am. Ever project I failed to finish— failure. And after some years of failure I feel it’s hopeless. Which makes any project I’m working on a doomed-to-failure project. I don’t really know how to fix this. I can visualize a blue decisiveness pill that would fix all my problems if I took it, but I won’t take it because it’s probably really just a blue button that my kitten War has been playing with. I feel like an utter failure today. But— there’s a good reason I won’t stop writing. Because my brain will keep providing me with story ideas and I will keep making up stories in my head because I’ve been doing it all my life. Without calling myself a writer I’d be just a weird crazy person living in a fantasy world. And I don’t want to be a weird crazy person. I want to be a NORMAL crazy person. 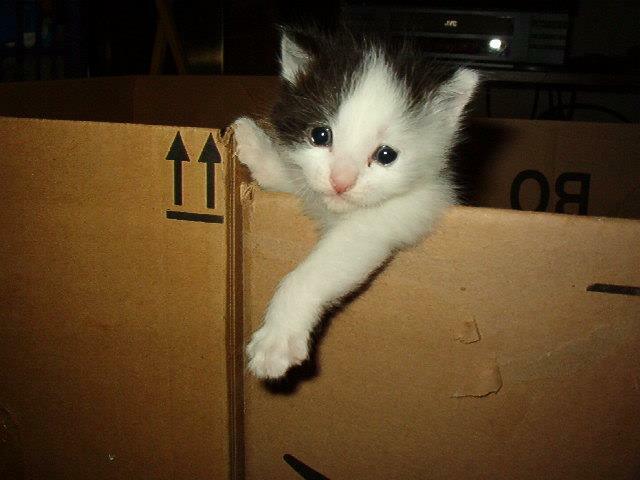 The kitten in the picture is named Umberto. She’s a girl, and all grown up now. 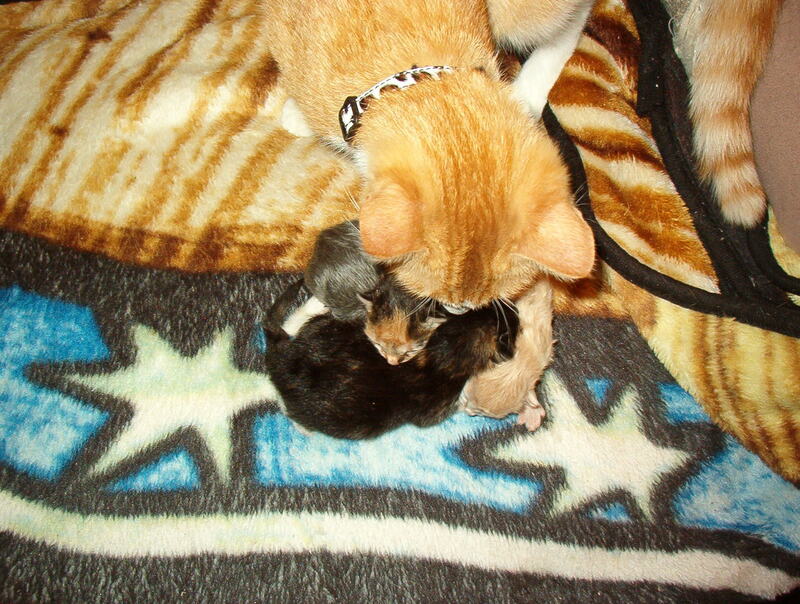 She’s had kittens— usually litters of 1 kitten, as she was. She has a daughter named Norbert who’s probably 2-3 years old. I don’t know how old Umberto is. Superman. I like him, perhaps because I come from an era when comic books were safe for kids. But there is one interesting think about Superman. As he was originally conceived, it was very hard to write interesting stories about him. Superman was basically invulnerable, with no weaknesses. We felt he was quite heroic, but everything was so easy for him, was he really heroic after all? He could pick up street criminals by the bunch and drop them at the jail. Of course he probably had to go back to pick up eyewitnesses so the criminals could get convicted. But it wasn’t really a challenge for him. The writers of Superman added kryptonite so that Superman had a point of vulnerability. It’s kind of silly that rocks from Superman’s destroyed home planet would be harmful to him. And that so many villains could obtain kryptonite. But by making Superman vulnerable— at least to one thing— it made it easier to identify him. And he could be really heroic by taking real risks in order to save someone. The other thing that the writers of Superman had to invent were supervillians. 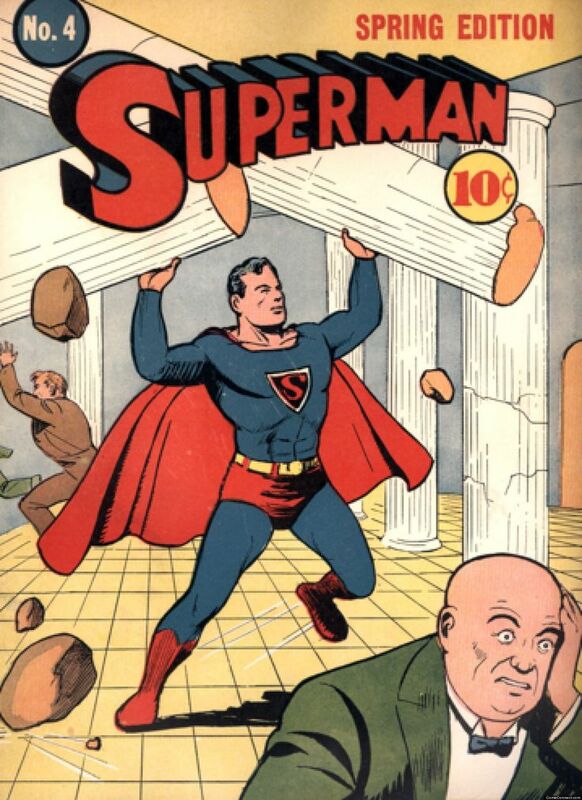 Ordinary, realistic street criminals were too easy for Superman to defeat. So there had to be villains with superpowers of their own, or who were evil geniuses who could figure out how to seriously endanger Superman or thwart his efforts. The rule we should learn from this is a real hero needs to be vulnerable in some way, and needs to have an opponent who can actually harm or defeat him. This can be a problem in some fantasy fiction. Writers might create heroes with amazing magical powers so that the reader wonders: why doesn’t he just use his magic? Unlimited powers in a hero lead to boring stories where the hero is unchallenged. Or unrealistic stories where the hero doesn’t attempt to use his magic powers to accomplish his goals without any real reason to not use this power. A villain that seems too powerful to defeat does work in fiction, as long as the author plants clues that the villain has a weakness, a limit to his powers, or a way to be defeated. The Harry Potter series works in part because we know Lord Voldemort had limits. He couldn’t just sit in his lair with magic wand out, chanting ‘Aveda Kadavera’ and have his distant enemies all drop dead. We know from the beginning of Harry Potter that Lord Voldemort was defeated once, and that he had opposition as well as supporters. Writers that don’t think their story through, give both villain and hero non-unlimited sets of abilities, and arrange defeats-of-villains that make actual sense in the story world don’t manage to create entertaining stories. When I read a novel for my own pleasure, I read fast. I don’t stop to think ‘this is a new scene’ or ‘Buck is this new scene’s viewpoint character.’ I just inhale the story. But sometimes a reader— especially if the reader is a would-be writer— needs to slow down and notice things. In a novel written in the Third-Person-Limited point of view, the story may jump around in different places with different characters present. Each scene should have a viewpoint character— this helps the reader feel anchored. But only if the writer has left easy clues as to which character is the viewpoint character. The viewpoint character may be mentioned by name in the first sentence of the scene. In the book I am reading right now, ‘Armageddon’ by LaHaye and Jenkins, I checked several random scenes to find that the very first word in the scene is the viewpoint character’s name. The name should at least be mentioned before the end of the first paragraph. The viewpoint character is the one we follow. Some scenes are in motion— characters don’t stay in the same room or same setting, perhaps because they are chasing a suspect or a clue. The viewpoint character will be moving along with other characters in motion. We are often shown the viewpoint characters emotions and thoughts. We don’t know these things directly about the other characters in the scene. Other characters in the scene become known to readers through the observations and interactions of the viewpoint character. These other characters are observed externally— we aren’t told their thoughts and feelings directly. If the viewpoint character leaves the scene or dies, the scene ends. Every scene in fiction has a purpose to the overall story. The viewpoint character usually has a stake in that purpose. At least the viewpoint character will have a goal for the scene. If the viewpoint character is not the main character or an important character in the novel as a whole, there must be a reason why the author chooses to show this particular scene through this character. Some novels stick mostly with the main character as a viewpoint character. Others have many different characters who serve as viewpoint characters in scenes. Novels with a lot of action in a variety of settings, like ‘A Pius Man’ by Declan Finn, often need to have many viewpoint characters. Writers and would-be writers should be aware of the viewpoint characters in scenes, especially when reading fiction by skilled or popular authors. By learning how other authors handle this issue in scenes, you can improve how you do it yourself. Find a book at random (by a skilled author) and pick three random scenes. For each scene, write down the answers to these questions. Who is the viewpoint character for this scene? How did the author establish that this was the viewpoint character for this scene? Was this done in the first sentence? What does the viewpoint character seem to want in this scene? Does he get it? Was this character a good choice for the viewpoint character in this scene? Why or why not? Is there an opposition character that is trying to prevent the viewpoint character from getting what he wants? If there is, imagine how the scene would be different from this opposition character’s point-of-view. Once upon a time, the uneducated writer had a chance. If a publisher decided he was a good writer in spite of his bad grammar and spelling, there were loads of qualified proofreaders to bring the book up to a literate level. Today, the problem is that most younger people were raised by wolves (the public school system) where basic skills were neglected even when they had teachers who actually knew grammar and spelling. Now that the new generation of teachers believe ‘speling doesint counte’ school children don’t have a chance. 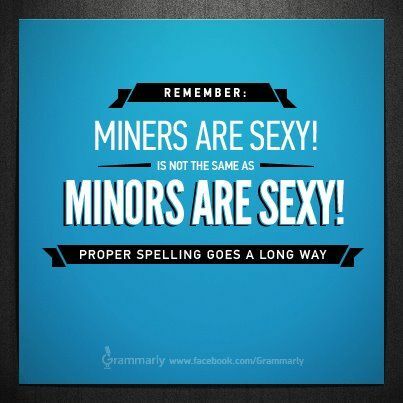 But readers tend to judge writers by their correct grammar and spelling skills. Most habitual readers pick up a certain amount of knowledge of these things from reading properly proofread books. They may not know all the rules, but when a writer violates a rule the reader knows, trust is lost. The writing world today is divided between indie and traditional publishers. The indie writer without English skills can’t self-edit or self-proofread. He can hire an editor or proofreader, but if that editor or proofreader misses 50% of the writer’s mistakes, how will the writer know? In traditional publishing, a publisher may still take a chance on an uneducated writer, especially if that writer is poor, a racial minority, and/or progressive enough. But where do traditional publishing houses get enough good enough proofreaders when their old ones retire or die? I’ve noticed books seem to have more uncorrected errors of spelling and grammar than they did when I was younger. The solution for the aspiring writer with poor English knowledge is to LEARN! You must learn correct spelling. You must learn correct grammar. If you can produce mostly-correct manuscripts, you can come up with a better final product than if you were spelling-and-grammar impaired. Most of us are familiar with spell-check software. If you have a spelling problem, look up every word marked as incorrect in a dictionary. Write down the correct version of the word you want. Practice spelling it correctly. Also look up ‘spelling demons’ to find the misspellings that your spell-checker doesn’t catch. If you have grammar problems, you need to study grammar. Using a grammar-check program like Grammarly might help, but you need a basic understanding of English grammar to really master good grammar. One additional method that I have used myself is to learn a foreign language. I took German classes since junior high school, and the classes were full of German grammar. Since the English classes at that level were more about making me read the right books (not classics, but books with Black characters and civil rights themes) I learned more about grammar from studying German grammar than taking English class. Creativity and originality are great qualities in a writer. Just not when it comes to grammar and spelling. You want your readers to have confidence that you are a ‘real’ writer and know the English language well. Spelling and grammar help. And, as in the example in the graphic above, can keep you out of prison. Right now I am occupied with outlining a science fiction novel, Tiberius Base. I’ve written some 51 pages, by hand, in a composition book. I’m following the instructions in K. M. Weiland’s Outlining your Novel Workbook, and so far it has been useful in developing characters, particularly the main character, a junior administrator at a starbase-under-construction, Ping Yuan. I’ve been having an impulse to learn a little Chinese as a result. 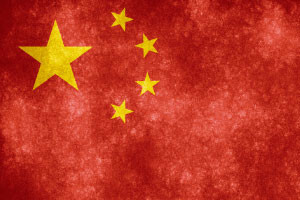 Chinese is the character Ping Yuan’s native language though he is fluent in interplanetary Trade Languages like Esperanto and Volapuk. Foreign languages are kind of a Special Interest of mine, and I try to keep them under control— ‘you can’t buy a beginning Italian book until you have finished the beginning Serbian book.’ But I’ve also come to understand that starting a language project is one method I use to relate to fictional characters. As a kid I was a massive Star Trek TOS fan— before Star Trek needed initials. I particularly liked the junior officers, Sulu, Uhura and Chekov. As a result at various times I tried to learn Japanese, Swahili and Russian. Not a lot of results, but I do know the Swahili word for toilet and learned to identify Japanese writing from Chinese or Korean at an early age. I even know a few words of Russian, including one naughty word. I have at various times used similar approaches to characters of my own creation. I have also deliberately given characters a certain linguistic background to match a language I was at the time interested in. In my current project I’ve done some of that. Esperanto, a language which is a long term interest of mine (I have read books in it), is the Trade Language most used in my setting. I made some characters native speakers of German, which is my own ancestral language and one I studied in college. I can also read in German. The character Ping Yuan was made Chinese for story-related reasons— he needs to be a communist-style ‘scientific atheist’ because another major character is a Catholic priest. But I think that learning a bit of Chinese does help— I’ve signed up for the Chinese lessons on a free language learning site and ordered the book that goes with the 50Languages free audio lessons. This is also my Celebrate the Small Things blog hop post. As of this week it still seems like blog hop host Lexa Cain is not feeling well enough to participate, so prayers for her are still in order. My celebration this week is about the 50 Languages free language learning materials. I discovered this years ago. It is sponsored by the Goethe Institute which used to encourage people to learn German. The 50 languages thing is really quite clever. The lessons are translated into the languages, and the learner picks out two— his own native language and the language he wants to learn— and can download the paired two-language audios. So— I can download some Chinese lessons with an English translation, but some Dutch speaker who wants to take Arabic lessons can get audios for that, too. It’s very helpful and great for homeschooling families who want to teach a language.